The history of the Ferrari 275 began in 1964 when the model was initially brought onto the market. It came as a replacement for the legendary Dayton and only stayed in production for four years until 1968. 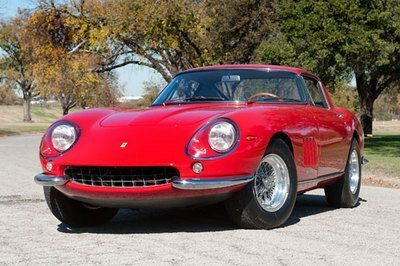 Initially, the model was offered only in a two-cam version, but at the 1966 Paris Motor Show, Ferrari also unveiled the 275 GTB/4 - or the four-cam version. The new 275 GTB/4 was designed by Pininfarina, built by Scaglietti, and was the first Ferrari not be offered with wire wheels. It immediately became a legend on the market, and even now, many people still claim it is one of the greatest Ferrari’s ever built. With that stellar history, it’s no surprise that one of the only 330 units built was sold at RM Auctions, Inc (Amelia) for an impressive $1.1 million. Hit the jump to read more about the 1967 Ferrari 275 GTB/4 Berlinetta. When the 275 GTB was launched in 1964, it came with some of the most impressive features ever offered for the Ferrari road cars: first four-wheel independent suspension and five-speed transaxle gearbox. 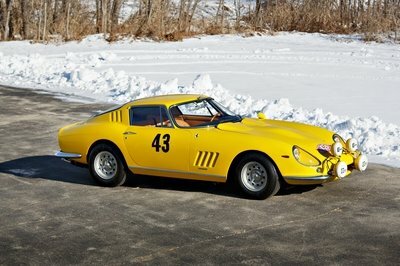 Ferrari offered three distinctive versions of the 275 GTB. 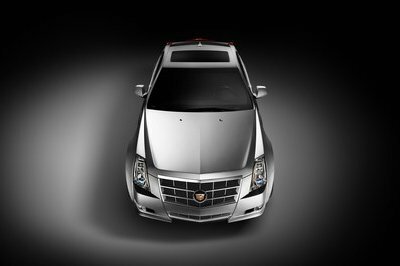 The first model was offered with a two-cam V-12 engine and a "short nose," while the later models received the brand’s legendary "long nose," a feature added for improved high-speed stability. 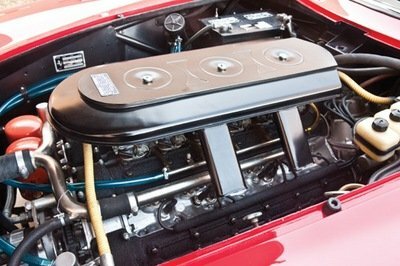 Then, in 1966, Ferrari dropped the 275 GTB/4 - it was the final evolution of the 275 GTB - and offered a 3.3-liter V-12 engine rated at about 300 HP, an increase of 40 HP over the previous versions. The extra power was obtained thanks to the addition of dry-sump lubrication and six two-barrel Weber carburetors. This was enough to sprint the car up to an impressive top speed of 150 mph (announced by Ferrari, but numerous test drives proved the can could do better than this - 156 mph). 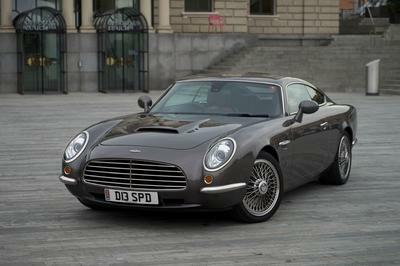 The car sold at RM Auctions was produced in March 1967 and belonged to Monsieur Desy in Brussels. From there, the car went to the ownership of B.L. 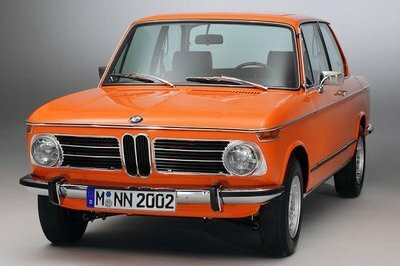 Story of Frankfurt, Germany and in 1970, the car was imported to the USA and had several owners since: first on the East Coast, then Miami, and finally Ontario, Canada. In 1995, the car went to Mr. Karl "Fritz" Schiffmayer and remained in his care until he passed away. From there, the car went to its current owner. In 1994, the car received its first restoration process. At that time, the car received an engine and transaxle rebuild by Rob Shanahan and Bob Wallace, a new exhaust system, and an interior re-trimmed with new leather upholstery. 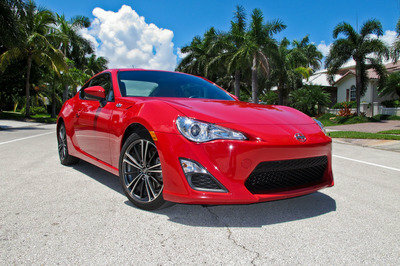 A second restoration process was done during its current ownership. This time, the car received a new Rosso Corsa paint and an engine overhaul performed by Rick Bunkfeldt Vintage Restoration Services of Hartland, Wisconsin. "The history of the Ferrari 275 began in 1964 when the model... came as a replacement for the legendary Dayton[a]..."
The 1973 365 GT4-BB was the replacement to the Daytona. 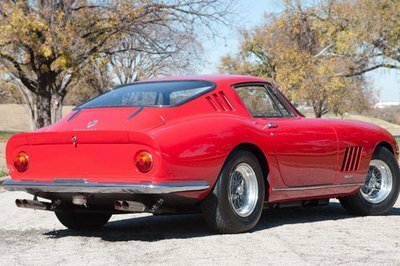 The 275 GTB and GTB/4 series predated the Daytona, which was in production from ’68-’73.